In a tweet, Farhan Akhtar has urged that the books be recalled and replaced. 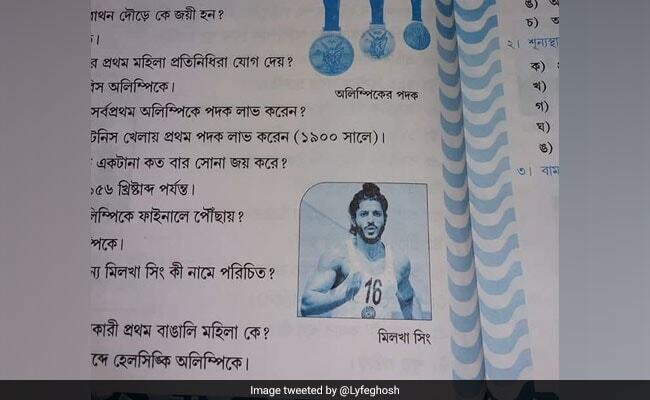 Actor Farhan Akhtar has tweeted about a "glaring error" in the depiction of legendary athlete Milkha Singh, popularly known as the 'flying Sikh', in a West Bengal textbook. Instead of Milkha Singh's photo, the publisher of the book has used Farhan's picture, who played the role of the sprinter in the 2013 superhit Bhaag Milkha Bhaag. In his tweet, addressed to West Bengal's Minister of School Education, Farhan has urged that the books be recalled and replaced. Since being posted earlier today, Farhan's tweet has collected over 1,700 'likes' and more than 400 retweets. It has collected quite a few reactions from people on Twitter. "What were they thinking?" comments one Twitter user. "Maybe the publisher is just a huge fan of yours," says another. Bhaag Milkha Bhaag was based on the legendary sprinter's life and also starred Divya Dutta, Meesha Shafi, Pavan Malhotra and Art Malik in supporting roles. Farhan Akhtar will next be seen in Shonali Bose's The Sky Is Pink, alongside Priyanka Chopra and Zaira Wasim.